Finally! I admit it has taken lots of time for me to force myself to some working again. 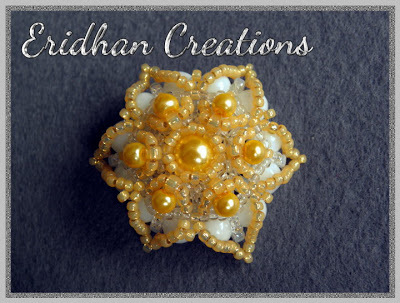 But now, as the spring is already here and the flowers are in bloom, the tutorial for a beaded flower, as I promised in this post, is ready and available to all of you. 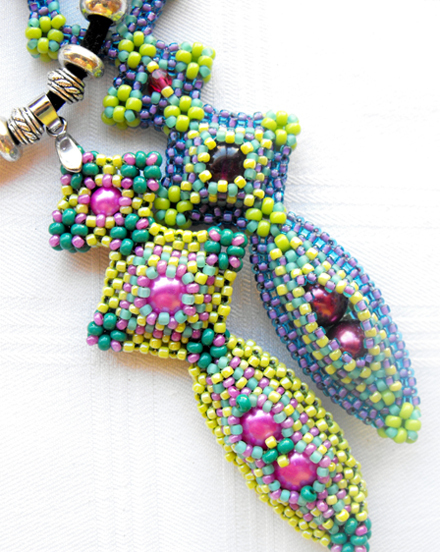 Two ways to make odd count Peyote stitch for beginners by Ellad2.com You can download this Tutorial for free at http://ellad2.com. Make some fancy jewelry using up your old buttons ediblecenterpiece.blogspot.com.